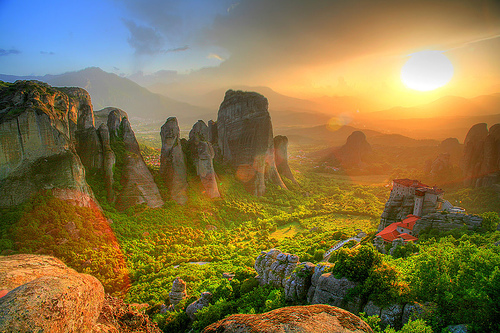 Meteora. . Wallpaper and background images in the Greece club tagged: greece meteora. This is gorgeous. Please send me a high res copy of this photo!